Not sure what to make for dinner tonight? Have you stopped being able to convince yourself that the bag of chips you call a meal is healthy because they are made from potatoes and potatoes are a vegetable? Then maybe you are in need for some fresh food that is delivered to your door (and probably some nutrients, STAT). Enter the food delivery service Fresh Canteen. Unlike other services that are similar in nature, Fresh Canteen not only provides fresh food at your door, but also an accompanying recipe to ensure that every meal you make is gourmet. Recently, I was given the opportunity to try one of their mouth-watering recipes. 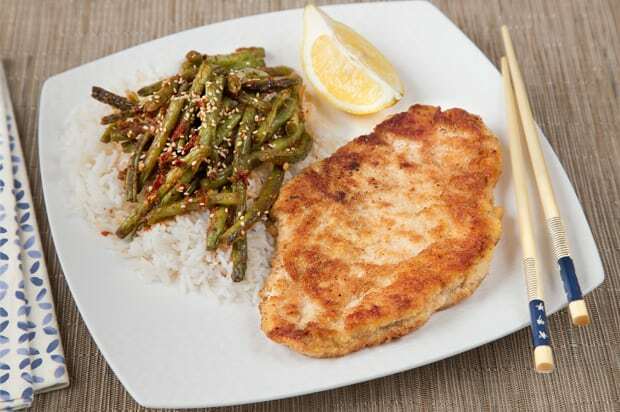 I opted for the Parmesan-Crusted Chicken with Fiery Green Beans, due to my love of Parmesan and spicy food. As promised, the ingredients for my meal arrived at my door on a Tuesday morning (all deliveries are made on Tuesdays) and the items came in an insulated box (keeping everything fresh and cold for hours, which is perfect if you are at work during the time of delivery). 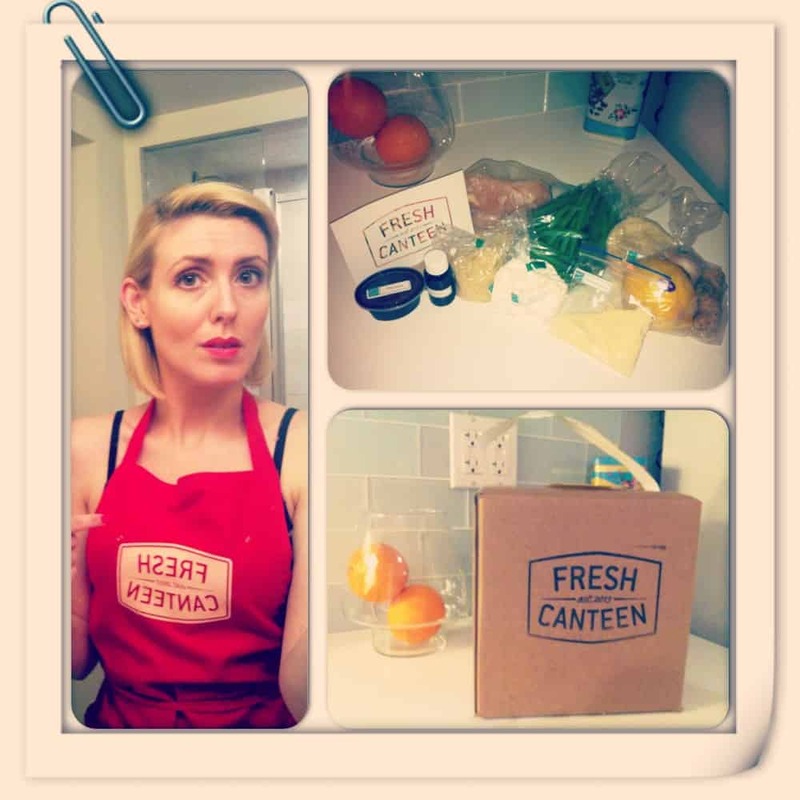 When I opened the box, I was excited to find all the ingredients, detailed instructions on how to cook the entire meal, and a red apron that read “Fresh Canteen.” I put that bad boy on right away. I was suddenly on my own personal episode of Master Chef—you know, without any competitors, cameras, and most unfortunately, no Gordon Ramsey (I will never be able to explain my attraction to him). Coming from the culinary school of “Open can, pour into pot and serve once hot” I was a little leery if the recipe (although detailed) would go terribly wrong in my hands. To my surprise, the recipe fell together effortlessly and was ready to serve (to myself, because I wasn’t about to share) in less than 40 minutes. I gleefully stared down at my plate of Parmesan-crusted chicken, spicy green beans, and bed of rice and I knew that it was time to Instagram my masterpiece EAT!